When you drop your pride and joy into the lovely people at a repair shop you expect your car to come back better than it went in. What you dont expect is for your Porsche 911 to come back looking like this. 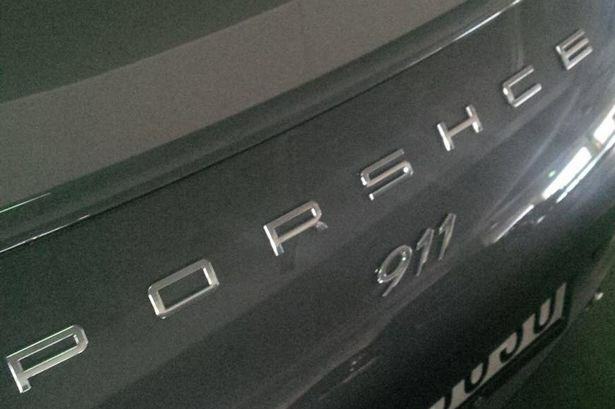 Can you spot the Mistake on the Porsche 911? An english Porsche owner living in Dubai to his £100K 911 into his local dealers to have a dent sorted out in his bumper. That is nothing too bad and hardly any damage but none the less Porsche Owners tend to be a little fussy when it comes to things like this and it should have been an easy job to put right. But he was not impress when he got his car back…. The dent was gone and no where to be seen but for some reason the Mechanics could not spell Porsche…. whoops!! !